There’s little chance of making it wrong when being in charge of your home’s makeover when you have the possibility of looking up so many sources of inspiration in the form of TV shows, and internet blogs. This also explains it why so many people nowadays have gotten interested in adorning their home interior décors with stylish vibes, particularly with eye-catching pieces. When you live in Australia, this is a great deal easier as we have the opportunity to get the looks of originals for less; yes, I’m talking about replica furniture. Now you may wonder why go for replica in the first place when you can get the original? Unlike the rest of the world, like Europe for instance, where laws have started appearing to protect the rights of designers, here we still have the liberty of saving up some dollars and still get the pieces we’ve long had our eyes set on: think Hans Wegner replica chairs! 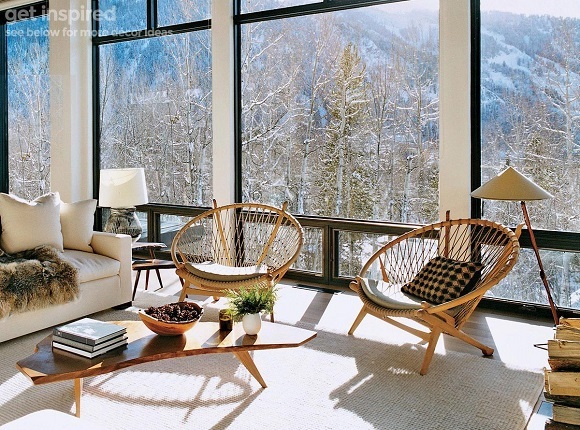 You have to admit spicing up your interior with Wegner’s Wishbone or Elbow chairs appears attractive. More so when you can find these Hans Wegner replica chairs for an affordable price; as long as they’re listed as replicas, you’re good to go. While in the 2000s, when replicas first began to take over the world, this type of furniture meant cheap quality, not nearly half as durable as the original, and lacked in craftsmanship, nowadays things have significantly changed. This has to do with the fact there’s high demand for replicas in Australia, and there’s also the other fact technology has greatly improved so replicas being produced as of late can also match the strength of the original pieces, meaning they lasts longer and are of higher quality. When I say this I refer to the choice of superior materials they are made of, that can prove their durability with their resistance to heat, and humidity, for instance. Another advantage to going on the quest for the ideal replica piece is the availability; just do your search online, and you can find the stores, and retailers that offer you the chance to do the purchase online, taking a look at their replica catalogues in an instant. This is opposed to the ease of finding a certain original piece, which is particularly the case with antiquities, so the more difficult it is to trace them, the higher the price naturally. Love it or hate it, the replica trend is growing in popularity, so much so even some interior decorators have become its fans. While you have the luck of being in Australia, why not use it and invite the beauty of replica furniture into your home?